Despite the best efforts of the Trump administration over the last two years, the situation at our southern border is a mess. The numbers of those seeking entry into the United States and those apprehended by immigration agents are surging. 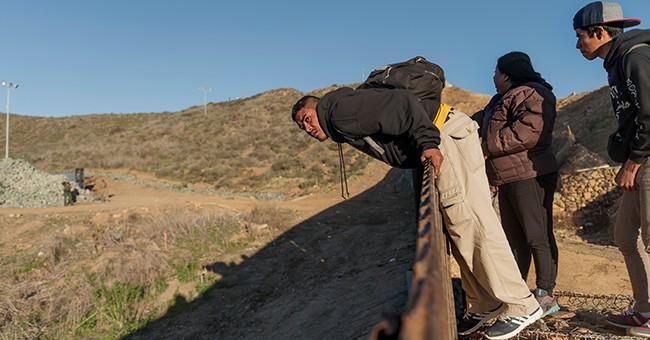 Even Barack Obama’s former homeland security director now concedes that there is a crisis at the border. While the anti-borders media and politicians seem to only care about family separations, there is another problem that apparently must not be spoken: high-volume, unstructured immigration brings with it infectious diseases that are a threat to all Americans. This is something of a taboo subject because the left has made great efforts to shut down any debate or mention of it. If you have legitimate concerns about infectious diseases at the border, surely you must be a Cro-Magnon nativist who wants to spread fear and dehumanize a large population, presumably because they are mostly indigent people of color, right? The elephant in the room of this argument is the ever-expanding collection of facts and testimony from those on the ground at the border. Last month, over 2,200 people exposed to a mumps outbreak in at least two immigration detention facilities had to be quarantined for 25 days. It was reported that in the past year 236 detainees have had confirmed or probable cases of mumps in 51 facilities. In 2016 authorities confirmed 22 measles cases in Arizona’s Eloy Detention Center, a privately managed facility of Immigration and Customs Enforcement. National Public Radio last month interviewed a Border Patrol official who reported that more migrants are arriving with communicable illnesses such as flu, mumps, impetigo and even one case of flesh-eating bacteria. The Immigration and Nationality Act mandates that all immigrants and refugees undergo medical screening exams. However, this applies mostly to those who apply for immigrant or refugee status prior to their arrival in the U.S. Given that the situation at the border is the opposite of ideal, it’s likely that not all migrants are being given sufficient medical exams. Immigration agents confirm that they are overwhelmed by the recent surge and there aren’t nearly enough doctors available to process everyone. Add to that our current policy of catch-and-release, and it’s not hard to see how migrants with untreated, communicable illnesses could end up in schools, hospitals and other public places throughout the country. To counter this reality, the mainstream media has sought out medical professionals to throw water on the idea that unfettered illegal immigration brings with it a threat of infectious diseases. One expert reassured us that there is nothing to fear because immunization rates in migrant feeder countries are comparable to those in the U.S. So we are to believe that the same Third World countries that are rife with poverty, illiteracy, corruption and narco-terrorist gang violence also have top-flight healthcare comparable to that in the prosperous, First World United States. Another report from NBC News made the apocryphal claim that not only is there no evidence that migrants are spreading disease, but migrants actually prevent disease by working in the healthcare field once they arrive here. Keep in mind that all of the reports on migrants with infectious diseases refer only to those in the custody of U.S. immigration officials. At least a good number of them are receiving some degree of medical examination. That is not the case with those who simply enter the U.S. illegally at any point along the border where there is no wall or point of entry. We have absolutely no idea what diseases they may carry or where they are in the country. Even at the high-water marks of immigration flow into America, new arrivals were put through a standard battery of medical tests. Immigrants who came through Ellis Island in the late 19th and early 20th centuries were required to first stop at a quarantine checkpoint near Staten Island where doctors would look for symptoms of diseases such as smallpox, yellow fever, plague, and cholera. Only after the ship passed inspection were immigration officers allowed to board and begin processing the passengers. Is the point of this article that illegal aliens coming to America are inherently bad people or somehow inferior to Americans because they may carry infectious diseases? Absolutely not. It is to indict the current, chaotic immigration policies that lure those people here with the promise of easy entry into America and the “opportunity” to find jobs that exploit them for substandard wages. A prudent immigration system that keeps the flow of migrants at a manageable number would be able to provide necessary medical checks for all applicants. That is the best system for migrants as well as the current residents of their new home country. What we have in place now fails both parties.